Designing a bathroom with a normal drop-in bathtub can be an expensive project because you have to pay for the labor involved in building the frame along with the tub and materials. 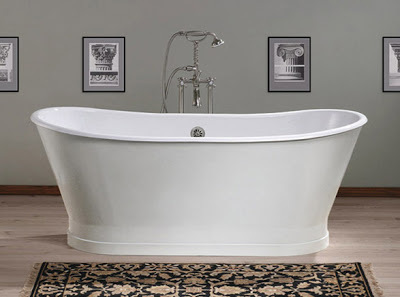 A skirted tub can be an affordable alternative to the standard drop-in bathtub. A skirted tub consists of a protective metal skirt that acts as the base and frame around the drop-in tub. The skirt acts as a support for the tub while hiding some of the plumbing. These elegant tubs are the perfect centerpiece for your new bathroom. 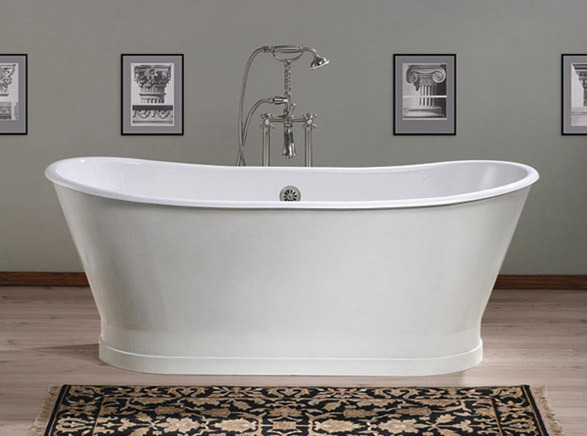 In addition to our wonderful existing bathroom collections, Vintage Tub & Bath is proud to now offer skirted tubs from Randolph Morris and Cheviot. Visit our selection of skirted freestanding tubs today to choose the perfect skirted tub for your bathroom!